It's Friday, and y'all know what that means. Yup, time for a new Science Friday video. 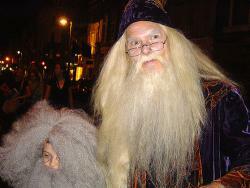 "Many mammals have whiskers but not all whisk. Cats don't. Rats do. To whisk, rats use special muscles in their face to brush their whiskers against an object. From the bending bristles, rats seem to be able to decode an object's shape and texture and Mitra Hartmann, engineer at Northwestern University, wants to understand how. This week, Hartmann and colleagues published a 3D whisker model, which she says will help quantify what information the brain receives from a whisk." Scientists at Columbia University have demonstrated that babies are capable of learning new things while they sleep, and that their frontal cortices are active during the process (crazy picture of the device used here). Evidence of this sort of thing has been found before, but without measuring brain activity. As someone who's a big fan of Aldous Huxley's Brave New World, this news is at once awesome and terrifying. Retina as indicator of disease: This is not exactly what the optician will see when s/he examines your eye...that would be too easy.Courtesy CayusaAlzheimer’s disease, that is. A technique developed by researchers at University College London (UCL), located on Repetitious Redundant Lane, allows your optician to not only find the proper lens prescription, but also screen you for early stages of Alzheimer’s disease. Their method takes advantage of the fact that the cells in the retina (the light-sensitive lining in the back of the eye) are direct extensions of the brain. As shown in the picture below, the retina is continuous with the optic nerve (also known as cranial nerve II), which then leads straight into the brain. The UCL researchers have found that the amount of retinal cell damage corresponds directly to the amount brain cell deterioration. They have also identified a particular pattern of retinal damage that is characteristic of Alzheimer’s patients. 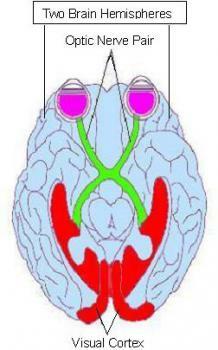 Relation of the eyes to the optic nerve: Here you can see how closely connected the retinas (the back of the purple blobs) are to the optic nerve, and to the brain.Courtesy William VromanThe way to measure this damage simply involves using special eye drops that highlight dying retinal cells. Your optician can then observe the extent and configuration of the deterioration. Research shows that cells start to die ten to 20 years before Alzheimer’s symptoms start to surface, so this procedure could be used to diagnose the disease in its early stages. This test would be quick, easy, and inexpensive, and being able to detect the disease early would allow doctors to treat, and possibly reverse the symptoms of this disease. So far, the researchers have only tested this technique on mice, but they will start to test human subjects in the near future. According to UCL, you might be able to receive this test within the next five years. However, there are some reasons that people might not want to screen themselves. There is fear that insurance companies could increase the premiums of middle aged people who test positive. There are also people who would just rather not know they may have this devastating disease in their future. How about you? Would you want to know? 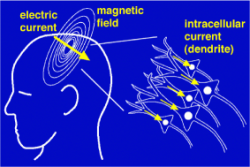 Magnetoencephalography (MEG): A scanner that detects magnetic fields in the brain.Courtesy Tom Holroyd Diagnosing autism spectrum disorders (ASD), up until now, has been subjective. No hard evidence, like a blood test or some other machine measurement could be used to verify ASD. Researchers now hope that by scanning brainwaves, early recognition and treatment might be possible. Autism spectrum disorders, which includes Aspergers, is now being found in about one per cent of the (US) population. In the current study, published in the journal Autism Research, Dr Roberts used a magnetoencephalography (MEG), a scanner that detects magnetic fields in the brain. You know, like hearing colors or tasting sounds. And for all of us, really: day dreaming is good for your brain. Oldest brain in Britain found, poked at. The oldest brain, in its natural habitat: Really, you don't even need to read the post if you look at this picture. It tells the whole story.Courtesy flappingwingsI hate to be the bearer of bad news, but all y’all Buzzketeers can stop your searching—the hunt is over, and the oldest brain on the island nation of Great Britain has been found. The prize goes to this crusty old skull, found in a muddy pit in York. The skull, in turn, person who had his or her head cut off about 2000 years ago, before the Roman invasion of Britain, probably as part of a ritual sacrifice and burial (the head’s body wasn’t buried nearby). An archaeologist was cleaning the skull (archaeologists love skulls, especially clean ones), when she noticed an “unusual yellow substance” move inside the cranium. Brain. 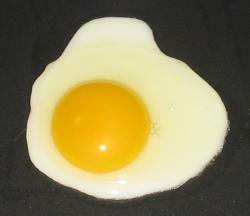 The “unusual yellow substance” is shrunken and fragmentary, and it probably won’t reveal much about human neurological evolution, as we haven’t evolved much in the last few thousand years (although I beg to differ—let’s see who can beat Double Dragon II first, me or an Iron Age Brit), but it still takes the oldest brain cake. Or the cake for “oldest brain,” lets say. The find is remarkable because soft tissue, brain especially, is rarely preserved over such a long period of time. The archaeologists did point out, however, that a whole bunch of well-preserved brains inside skulls) surfaced in a Florida peat bog in the 80s, and these brains date back as far as 8000 years. So, you know, USA, USA. To which I say, only one?